In this timeless picture book, a new reader trudges through deep snow with a mysterious suitcase in tow. He has something important to share with his faithful companion, who bolts ahead to wait at the top of a tall hill. Our small hero climbs higher and higher, until finally, he is there, too. Then he opens his suitcase—click, click—and soon the only sound in the world is the sound of the reader reading their very favorite book to the very last page…the very last word. 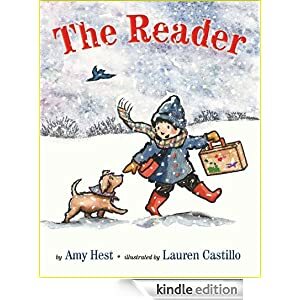 A classic Kindle book for young readers ages 4-8, The Reader is selling for only 99 cents today.